Whether you have a profile on a social platform or not, your name is in the cloud. Make it work for you. I remember my first profile on Myspace back in 2004; I thought I was so cool uploading pictures and videos of my adventures and dancing. Back then my main goal was to garner as many followers as I could. But it was a choice, really. I didn’t need a profile and nobody really cared what I had up there. Today, it’s a whole other ballgame. Our social media presence is almost ubiquitous. Whether you have a profile on a social platform or not, your name is in the cloud somewhere. And like it or not, there will be content associated with you, which is why I recommend to proactively boost your social media presence with a few simple strategies. Invest in a professional headshot. From LinkedIn to Twitter and everything in between (Facebook, Instagram, Pinterest, YouTube, Google+, Snapchat and on and on), you will be more easily recognized if you keep a consistent look on your profile pictures. Trust me when I say that once you have a professional headshot, you will use it more than you ever thought possible: for internal presentations, awards, applications, and events where you’re a speaker, and more. 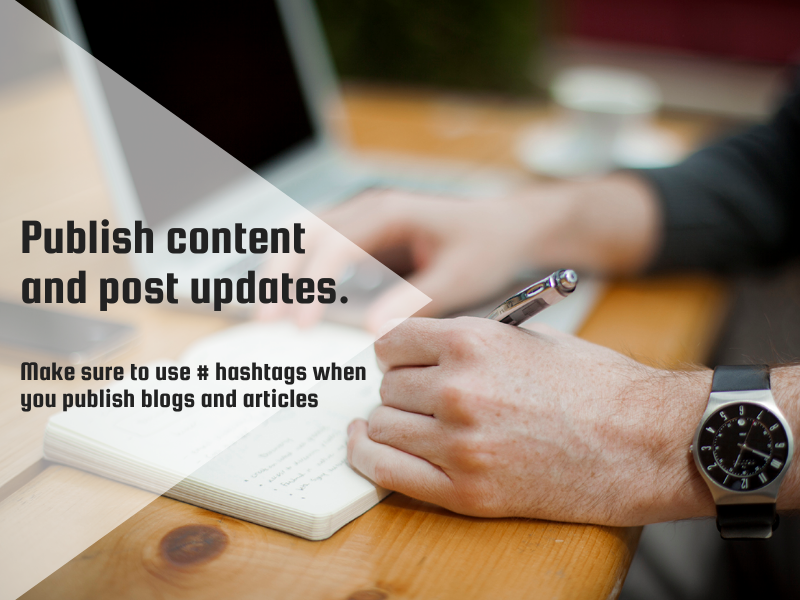 Publish and post content of interest to you. Use # hashtags.One simple way to differentiate yourself and advertise who you are as a professional and an individual is to publish content in your area of expertise or hobbies. This could be anything from ‘how to’ guides, best practices on your area of expertise to your latest experience at a conference with key takeaways. When you write about a topic you’re passionate about, you invite others to join in the conversation and share your blog with their network. Ask for Recommendations. I once heard a recruiter from the University of Texas at Austin say that LinkedIn recommendations are the evidence that you are not some sociopath out in the wild and that people actually like you (I’m pretty sure he was joking but he made a point). Recommendations (or endorsements) are particular to LinkedIn and unlike Glassdoor, you get to decide which one to approve and whom to ask for one. But first you have to ask. Make sure you ask someone you feel has seen your great work in action and whose name you feel comfortable having on your profile for months or years to come. When making the ask, propose a sentence or two with the actual content you are requesting so you make it easy for the other party to edit and approve. Don’t underestimate the power of peer to peer recommendations; you never know who’s reading that could have an impact in your career or even your life. Engage with other people’s content and career changes. 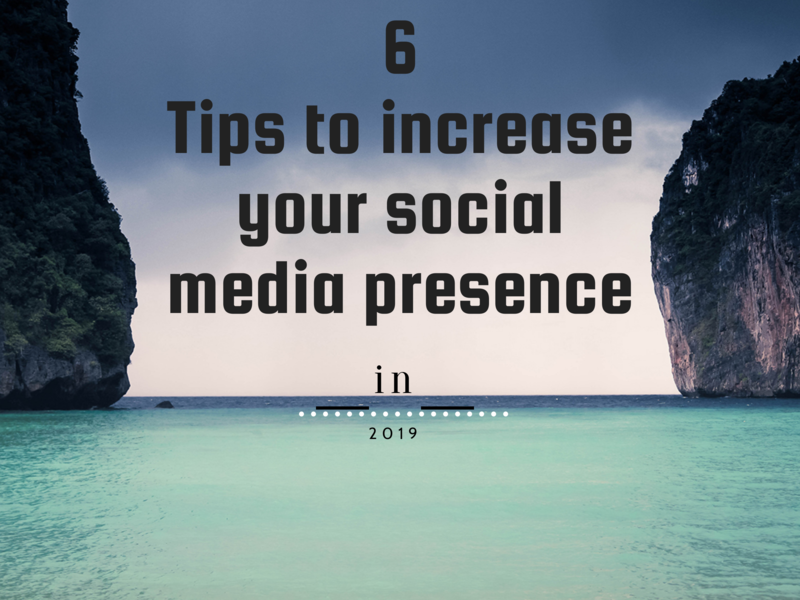 If you want to increase your social media presence, you have to invest time in engaging with other people’s content: likes, shares and comments can go a long way in maintaining those virtual connections and stay top of mind. When you take the time to add a comment or share your point of view in a conversation, you instantly become more public to other people in that conversation as well as to future participants. Similarly, make sure to check in with current contacts on a regular basis. I once had an acquaintance offered help in moving to a new city once he found out I had taken a job in his city. I was so impressed that I took him up on it. Eventually, we became good friends and to this day, I’ll never forget his generosity. So remember to congratulate a peer on a promotion or a new job and if you feel comfortable, offer help as they transition to a new job or a new city. Capitalize on invitations. This one is tricky because many of us get invitations from strangers to connect on LinkedIn (or friend request on Facebook, Instagram, Twitter, etc). Unless you know for a fact that this person’s profile is questionable or fake (trust your judgement), don’t hit delete just yet. Instead of turning it down, take this opportunity to ask the requester how you two met and how she/he sees this connection being mutually valuable. In a world that’s hyper-connected and where the new constant is change, you can always benefit from new connections that could be mutually beneficial in the future. One final note: If you want to see how effective you are at establishing your professional brand and building relationships on LinedIn in particular, check out the Social Selling Index score. I’d love to hear what is one strategy you have successfully used to increase your social media presence. Please share in the comments below.